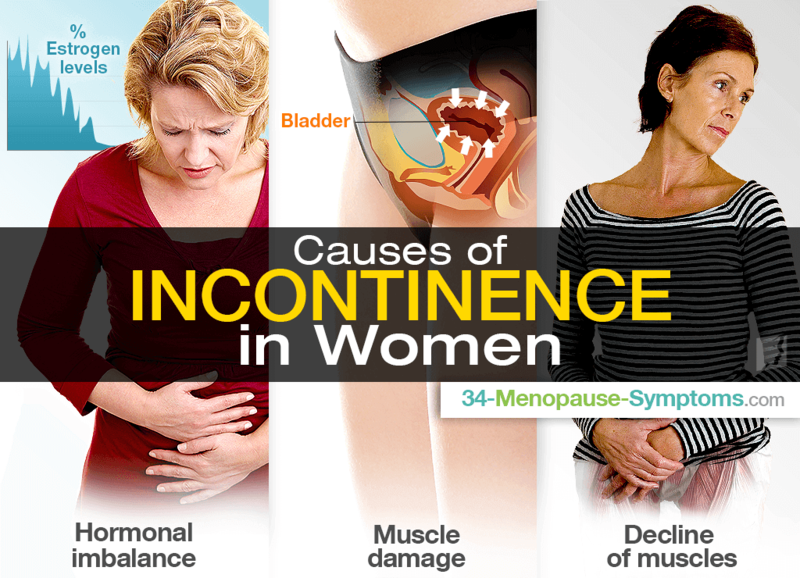 Unfortunately, incontinence is considerably prevalent among women, particularly as they approach their menopausal years. It can be a difficult, and at times embarrassing, problem to cope with, but understanding the reasons behind it can help you when trying to determine how to treat or manage incontinence. There are a number of possible factors accounting for what causes incontinence; below find a straightforward guide - designed to help you understand some of the most common ones. This term refers to loss of bladder control caused by damage the pelvic floor muscles, the urethra or other cause as hormonal imbalance. When these weaken, the ability of the bladder to be able to secure urine is lessened, causing leaks without the sensation of needing to urinate. Hormonal imbalance caused by the body's drop in estrogen production during this time in a woman's life. Estrogen helps to keep a woman's muscles strong, even the muscles that enable to maintain bladder control, this hormone impacts on the functionality of the female reproductive system. Women who give birth vaginally are more likely to experience this type of incontinence. This is because labor causes strain on the muscles which control the bladder, and can also damage the surrounding nerves. As you get older, your body naturally begins to deteriorate. This means that your bladder may not be able to cope with containing as much urine as it did in younger years, thus increasing the chances of leakages. There are two different types of these infections - those of the bladder (I. e; cystitis) and those of the urethra (I. e; urethritis). They occur when bacteria is present, and cause the bladder to involuntarily contract thereby creating the sensation of needing to urinate. Many women who have suffered a stroke will experience bladder control issues. This is often due to the fact that the area of the brain that influences the bladder has been damaged. Awareness of some of the causes of incontinence can be useful when trying to understand this frequent symptom of menopause. It is a problem faced by many women on a daily basis, and it should be somewhat comforting to know that there are a number of ways it can be addressed. For more ideas about how to treat or manage incontinence, click here. Although most cases of menopausal incontinence stem from hormonal imbalance, in some cases certain medication could be worsening the problem.